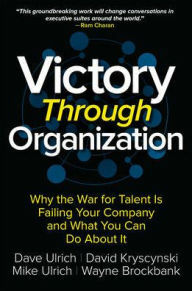 Many tears ago, Dave Ulrich and his associates began what has since become wide and deep research on HR competency. More specifically: Why it matters; why and how an organization’s HR high-priority business practices – information management, integrated HR practices, employee performance, and HR analysis — should be central to an organization’s operations; and how and why specific individuals (“credible activists”) can help accelerate the achievement of organizational objectives. According to Ulrich, David Kryscynski, Mike Ulrich, and Wayne Brockbank, “In 1987 when we started pour HR competency research, we envisioned a single cross-sectional study of what makes HR professionals effective. Seven rounds and 30 years later we realize that our aspirations to help HR add value is not an event, but a long-term process. Long ago I realized that all HR issues, marketing issues, financial issues, cultural issues, IT issues, talent acquisition issues, etc. are in fact business issues One of the most important is, “How to add value to given business?” This is a challenge that leaders in all organizations face, whatever the size and nature of their organization may be. 2. HR research is imperative. 3. HR professionals are changing. 4. HR departments and practices are becoming more important. 5. HR professionals are incredibly gifted. 6. HR is a dynamic and innovative discipline. The Chief Human Resources Officer (CHRO) or equivalent in any organization needs to read this book, to be sure, but I think it is also must reading for all other C-level executives because, as suggested earlier, all issues must be understood, viewed, and then addressed as business issues. I commend Dave Ulrich, David Kryscynski, Mike Ulrich, and Wayne Brockbank on the abundance of information, insights, and counsel that they provide in their latest volume of research data analysis. It remains for those who read and (hopefully) re-read the book to work together to establish and then continuously strengthen a workplace culture within which personal growth and professional development are most likely to thrive.